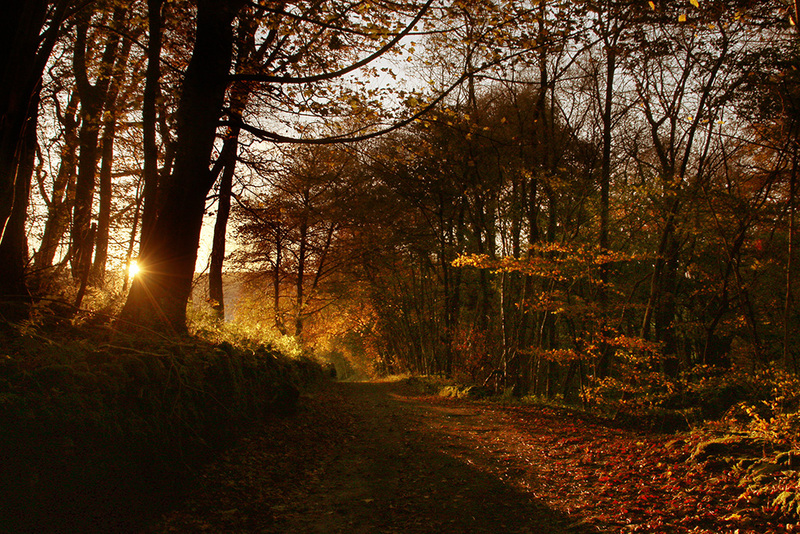 Sunset at the end of a bright autumnal Dales day … is there anything to match it (other than a Dales sunset during spring, summer and winter, that is)? 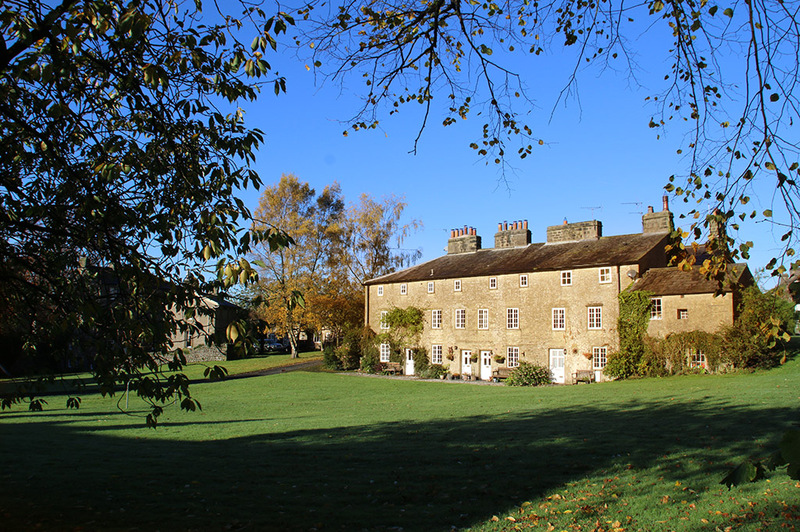 The skies were clear and blue over Ribblesdale on Friday but I waited until the sun started to dip behind the western slopes before heading out for a walk. 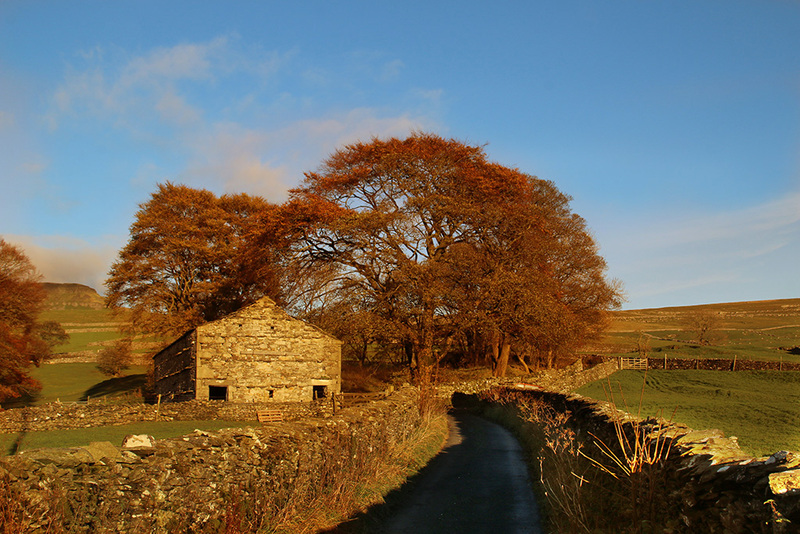 Golden light created glowing red and mellow yellow as it shone on recently discarded leaves and those still clinging to ancient trees along this track out of Horton-in-Ribblesdale. 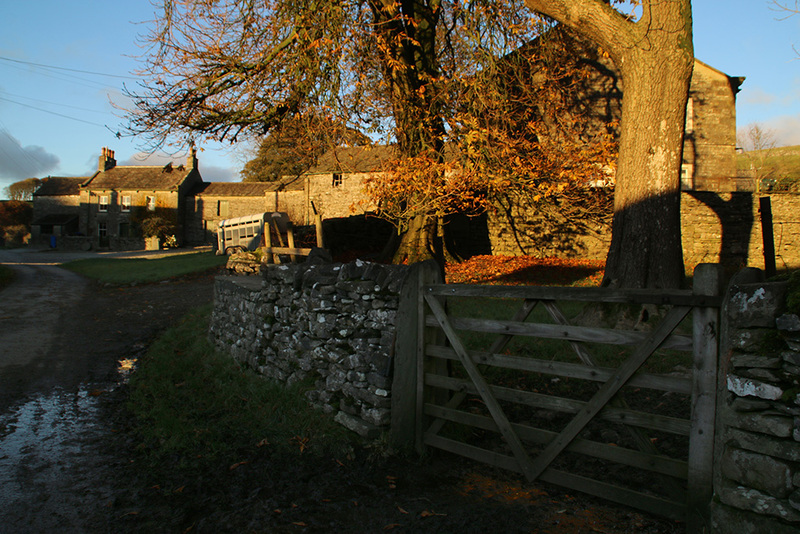 Barns and walls take on a softer glow on the road to Brackenbottom (below). 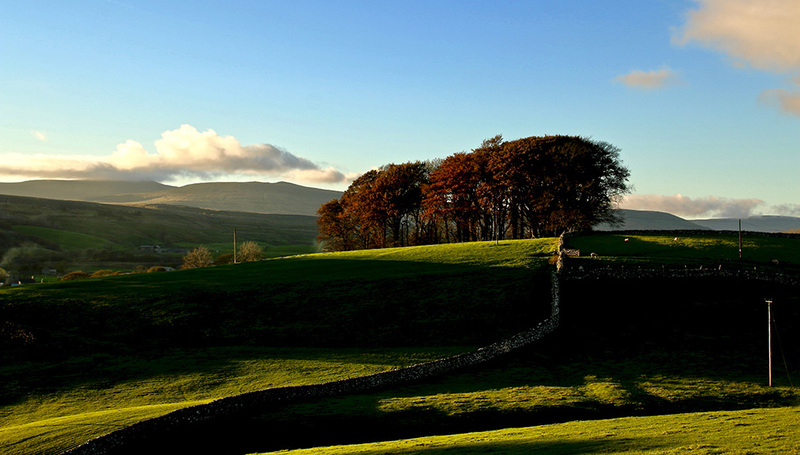 Long shadows on the meadows near Horton-in-Ribblesdale. Deep shadows. 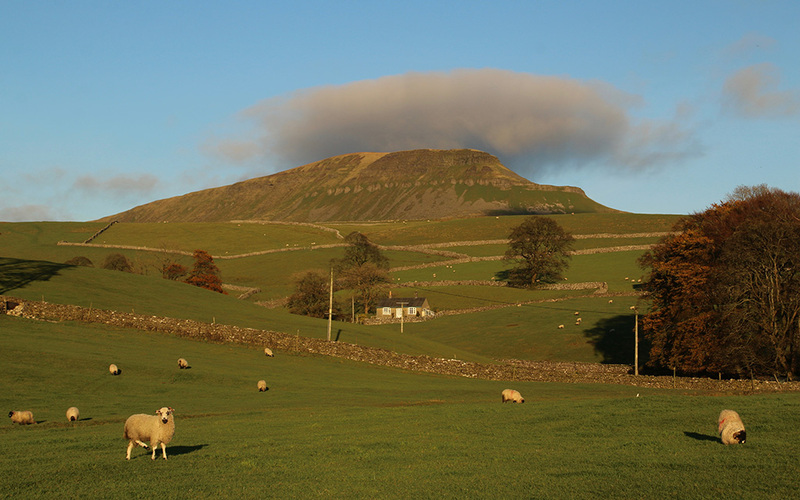 Looking across Ribblesdale to a cloud-topped Ingleborough. 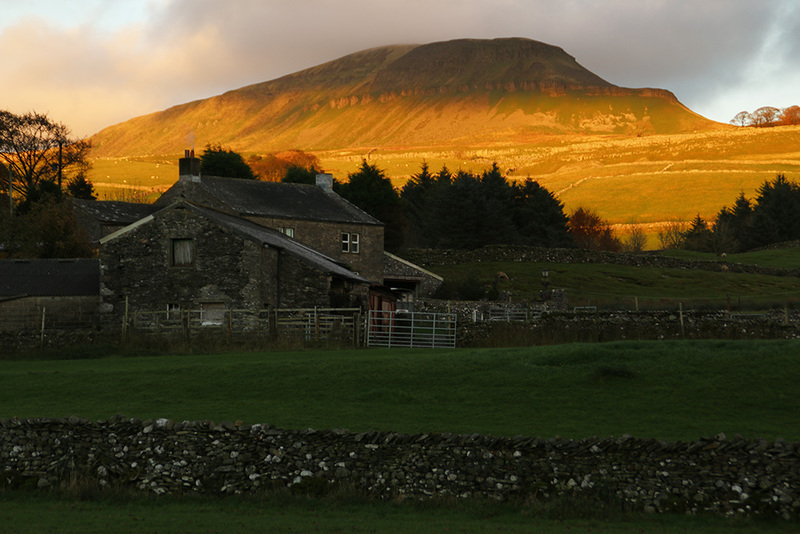 Almost the last of the bright light illuminates Penyghent. 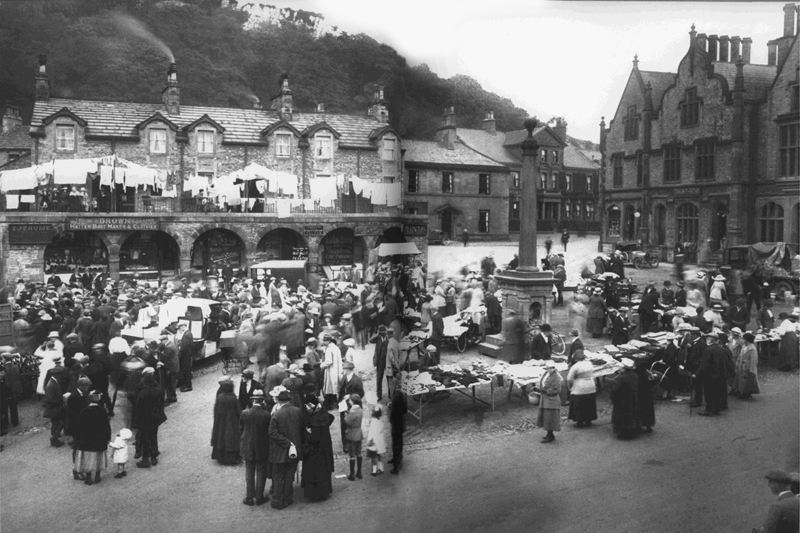 Many of you will have already seen the following old photo of Settle but I thought it was worth a reminder – if just to see all the washing hung across the Shambles. 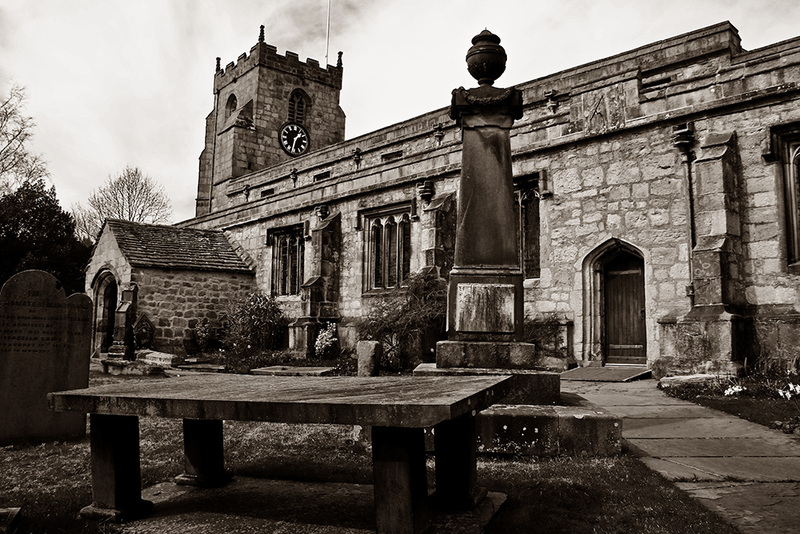 At the risk of breaking copyright laws, it is a photo I took of a Francis Frith picture which appears in the book, Rural Britain, Then & Now by Roger Hunt (published by Cassell in 2004). I’m hoping that as I don’t make any money from my site and the fact I’m publicising the book for free this might save me from being charged for its use. Not all sites or publications show such courtesy (comment aimed at those who without permission have recently raided the blog and used my stuff!). 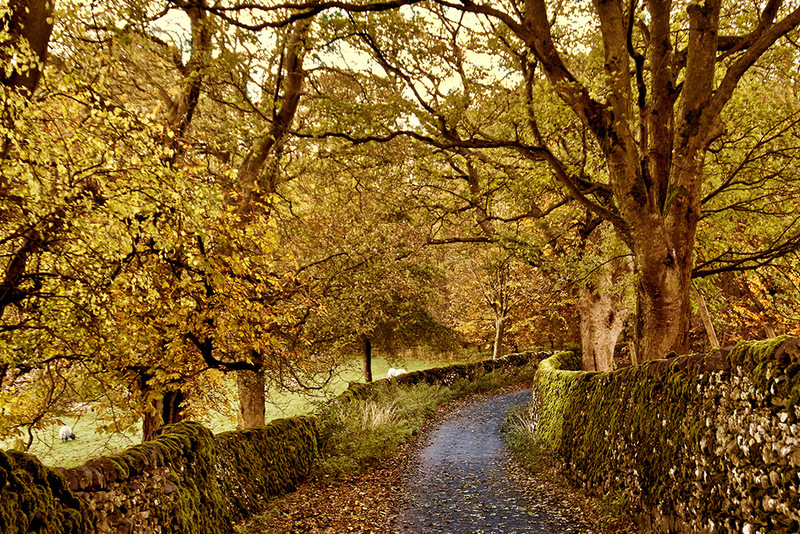 In my nostalgia column in November’s Countryman magazine (now on sale) I write about memories of Mischief Night – for any youngsters who have accidentally stumbled across this blog, Mischief Night was in the days before Trick or Treat was washed up on our shores from across the Atlantic. Ask your granddad what he got up to. 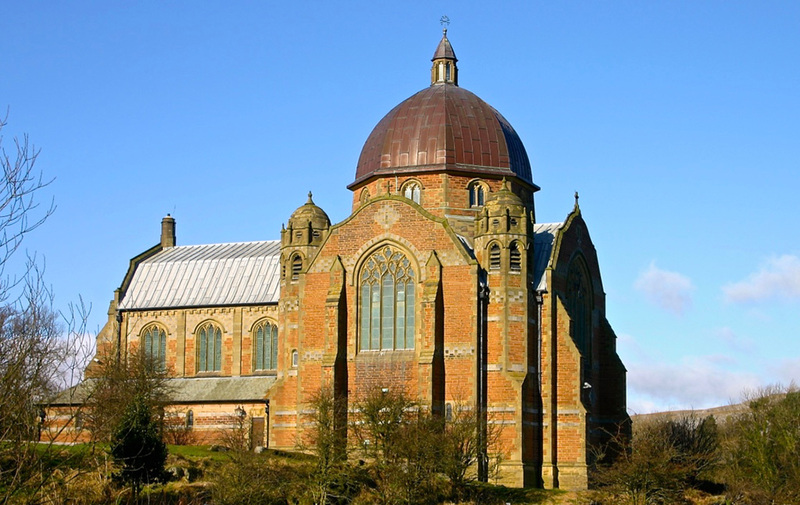 This week’s Dales churches are both in Giggleswick, the ancient St Alkelda and the Gothic style Victorian chapel of Giggleswick School. Now please excuse me as I go try to tell my central heating system that twice a year in Britain we try to convince the rest of a bewildered world we are in charge of time and we’ll do what we want with it. 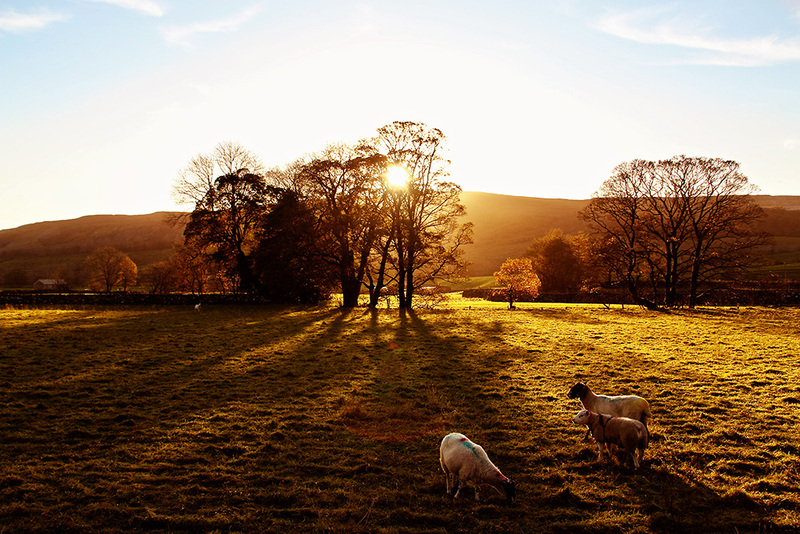 So nice to see such good images with the evening sunlight. Thanks again.